W x Gusset x H: 8" x 4" x 18"
High Clarity Gusseted 8"x4"x18".65 Mil Plastic Bakery Bread Bags serve many purposes for bakeries and numerous other food industry businesses. 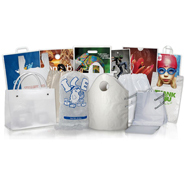 These .65 Mil High Clarity Plastic Bread Bags are made from high quality LDPE film. Are you the corner baker that helps the day get started or the industry standard bakery that keeps the industry going? Whoever you are, why risk your reputation and bottom line with sub-par low clarity plastic bags? You can buy just a single case at wholesale pricing or get an even better price when you buy in bulk. 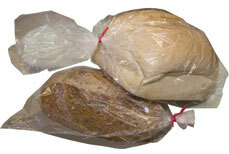 These 100% Virgin resin LDPE high clarity bread bags meet all FDA and USDA standards and are packaged 1,000 to a case.